MIWB has installed state-of-the-art membrane filtration treatment plant to assure water quality provided to the city. MIWB continues to use Clear Water Lagoon to perform primary water treatment for supply to industrial customers and as pre-treatment before filtration. Raw water is pumped from Lake Moondarra into the Clear Water Lagoon (CWL) via the Lake Moondarra Pontoon Pump Station or from Lake Julius via the Fred Haigh and Lake Julius Booster Pump Stations. Water first enters the CWL flume where it runs over rocks and aquatic plants which aid in the initial filtration, aeration and oxygenation of the water. Water then enters the settling pond where much of the suspended solids and dissolved matter is filtered, adsorbed and absorbed by the jointed rush grasses and Hydrilla (Water Thyme). From the settling pond water enters Clear Water Lagoon where is resides for about three weeks allowing contaminants to settle. 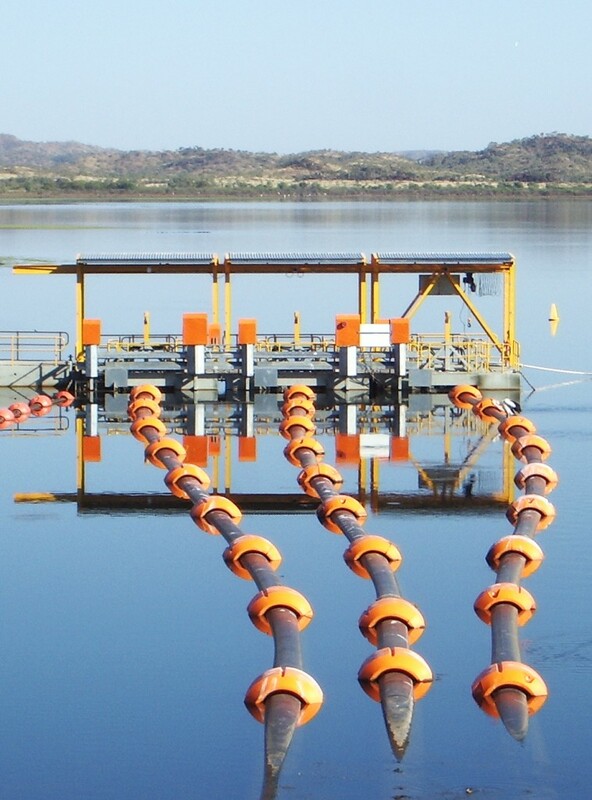 The water is then pumped from Clear Water Lagoon, via Col Popple Pump Station, to the Mount Isa Terminal Reservoir where it is chlorinated three times before it is delivered to Mount Isa Mines. Water for city is further treated using an advanced membrane filtration plant and transferred to Mount Isa City Council for distribution.